especially if you grew up hating brussel sprouts, you got to try this. 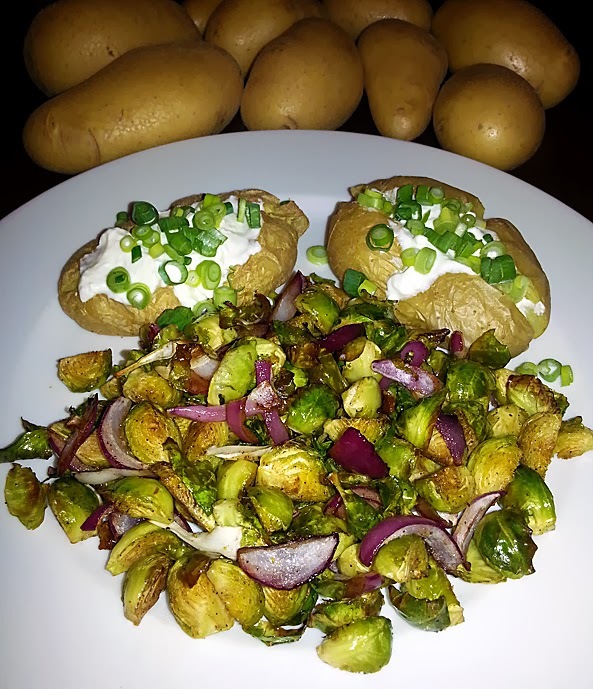 This recipe can easily be scaled up to the number of people joining for dinner, however, you must be able to spread the brussel sprouts in your oven so there's just a single layer. 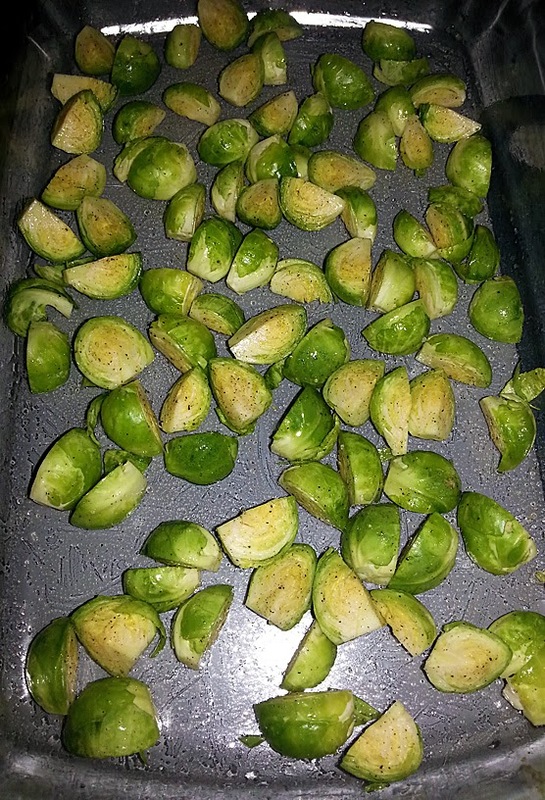 Start with cleaning and quartering the sprouts, then toss them in an oven dish with oil, salt and pepper. Stick them in a preheated (450F) oven, for 15 minutes. In the mean time, cut your onions (not too small, you don't want them to burn). Add the onion to the sprouts, toss it well and spread it all out once again. Then let it all sit in the oven for another 15 minutes. When it's done, sprinkle the balsamic vinegar over it and toss it wel. Add some extra salt and pepper to taste. Great with a couple of baked potatoes with sour creme and spring onions!